When I visited Acadia National Park a year ago I naturally had to stop by one of the most iconic locations there – the Bass Harbor light house. There was only one problem: The ocean was completely calm, not a cloud in the sky, in other words, it was rather boring. When I returned this year, the scenario was quite different. 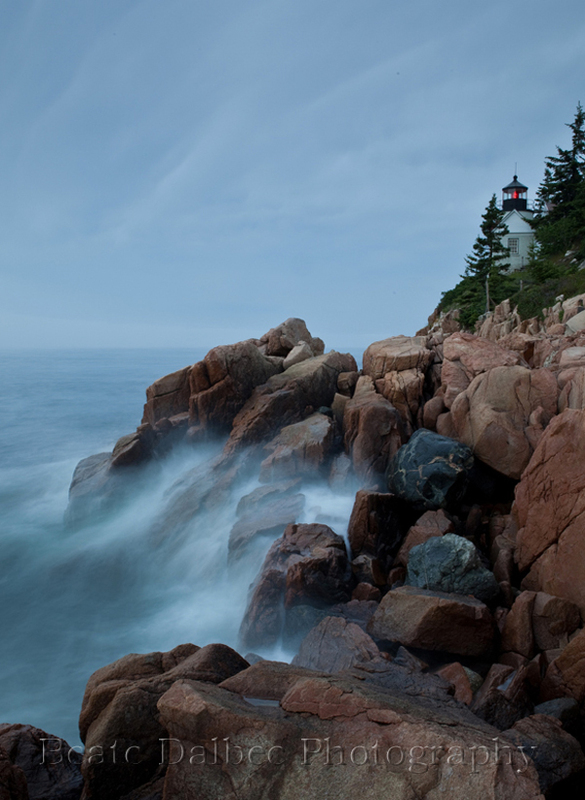 It was a gloomy day and the surf was pounding the rocky shore below the light house. Great light house weather. I managed to get a few nice shots just before a thunderstorm started.